Elodie Holmes creates uniquely masterful fine glass sculptures, vessels and ornaments using traditional glassblowing techniques, sculpting, flame work, cutting, polishing and etching. 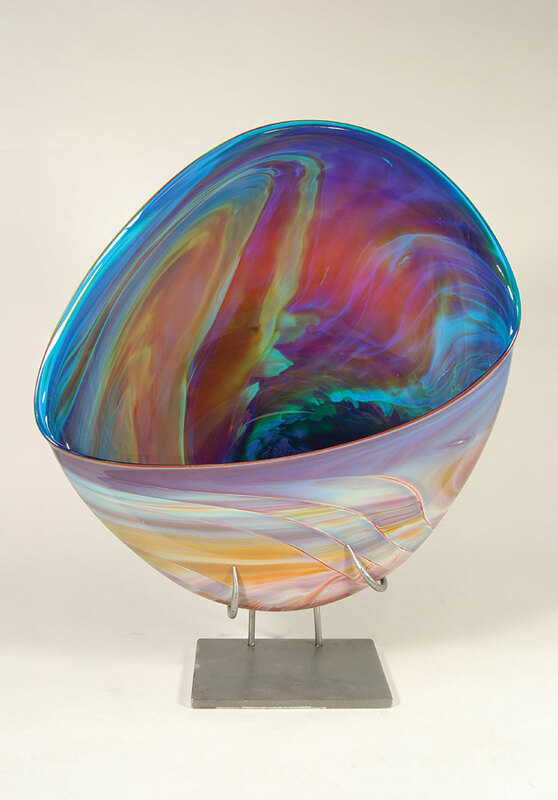 "The spontaneity involved in working molten glass is highly satisfying. When sculpting in a torch flame off the end of a blowpipe, the process creates a tension that is reflected in the art itself. Each piece is an event frozen in time. They may be surreal, ceremonial or lighthearted, but almost always mysterious." 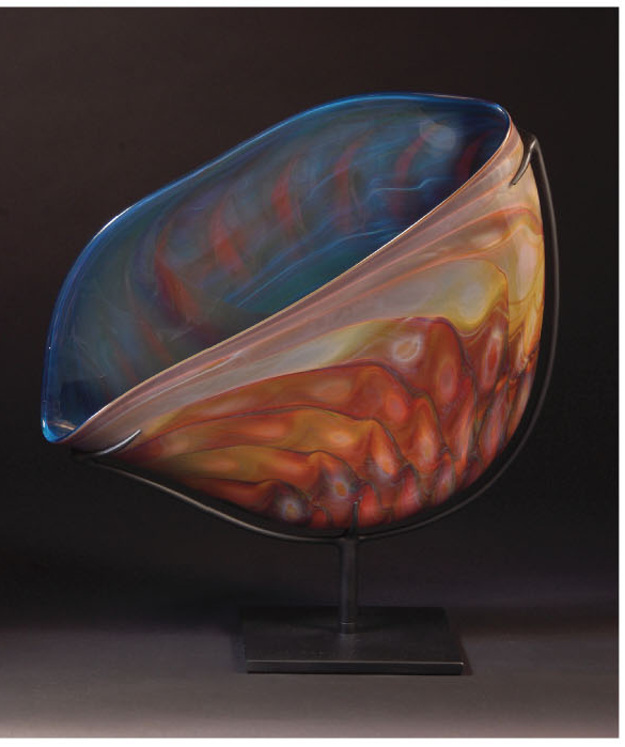 Holmes developed her renowned signature lines and forms by combining flame-working techniques with off-hand glass blowing, during which she applies individually flame-worked figures onto molten glass, then carefully blows and shapes the glass into its final form. In 1986, Holmes founded Liquid Light Glass in the Baca Street Art District of Santa Fe, NM, and in 2004, she co-established another studio called Prairie Dog Glass, located on-site at Jackalope in Santa Fe. She still works out of Liquid Light Glass, where she also teaches classes, and her work is available in national and international galleries and museums.